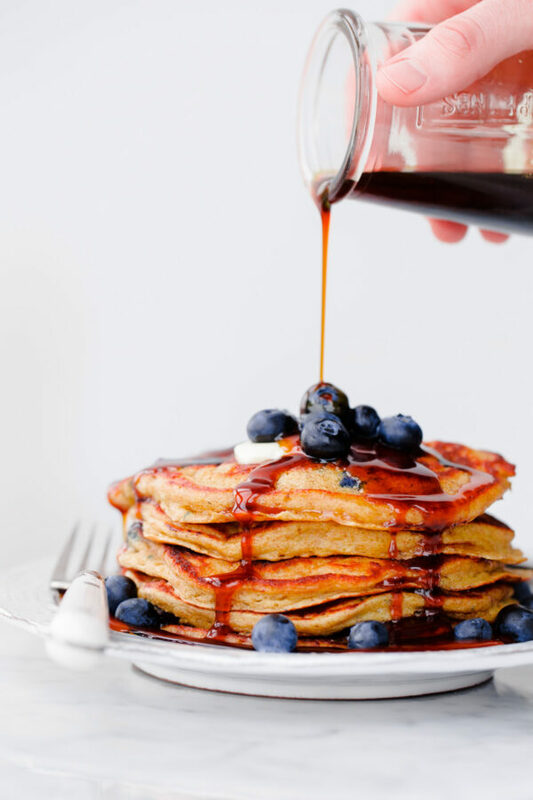 Extra fluffy 100% whole grain pancakes filled with plump fresh blueberries and topped with an easy, two-ingredient molasses syrup! These aren’t just any old blueberry pancakes. They are Blueberry Rye Pancakes! Not only are they extra fluffy (thanks to my favorite trick of folding in whipped egg whites), but they are made with equal parts stoneground whole wheat pastry flour and rye flour. In other words, they are 100% whole grain! This means that we’re allowed to eat more of them, right? 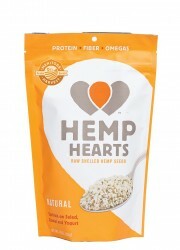 At the last minute, I decided to add in some raw shelled hemp seeds (which, as it turns out, were completely undetectable) for an extra boost in nutrition. They’re also finished with the world’s easiest two-ingredient molasses syrup! No, really, just combine a touch of unsulphured dark molasses and pure maple syrup, give it a little stir, pop it in the microwave to warm up, and you’re set. As much as I love maple syrup (Grade B, please), I might love this molasses syrup more. A few weeks ago, Connor and I met for brunch with family at a spot in Lakeview called SIP, which serves their pancakes and beignets with house made molasses syrup. It immediately inspired me to attempt to create my own, and while their version might be a bit more complex than this method (maybe not, who knows? ), the taste is nearly identical. 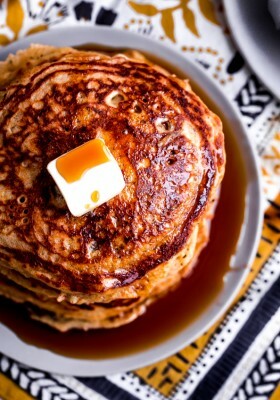 The dark molasses gives the syrup an earthier flavor and makes it a lot more nuanced. It’s hard to describe, but incredibly tasty! Plus, it adds only five seconds of prep to any normal syrup situation and I can live with that. If you’ve never cooked with it before, rye flour generally comes in two forms: light rye flour and dark rye flour. This recipe uses light rye flour, which I found in the bulk bin of my local grocery store. 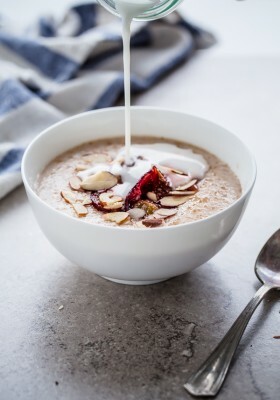 Rye is a wonderful whole grain to use for pancakes and other baked goods – although I don’t recommend substituting 100% of your normal flour with it – as it is significantly lower in gluten than traditional wheat flour. 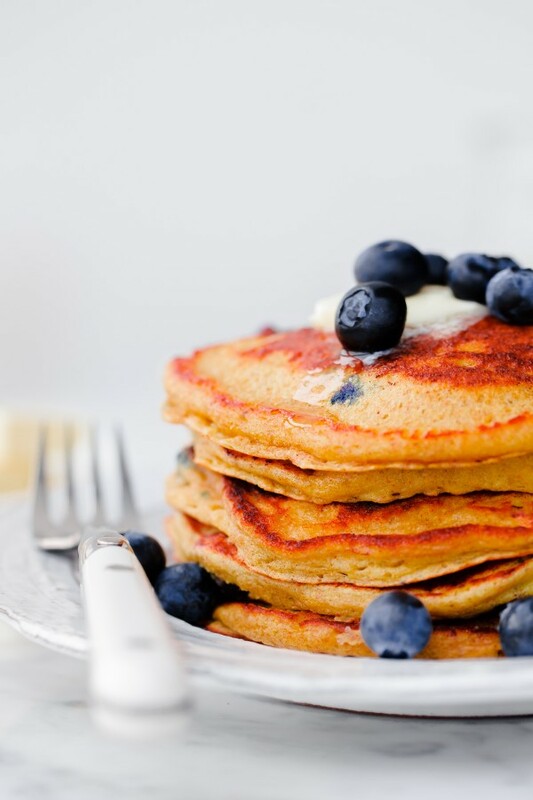 Less gluten = lighter, more tender baked goods and pancakes. One important note: These pancakes do not taste like traditional rye bread, so don’t be alarmed. Traditional rye bread is loaded with caraway seeds, whose flavor is often mistakenly associated with rye flour. Trust me, rye flour (sans caraway seeds) tastes nothing like normal rye. In a medium mixing bowl, whisk together the whole wheat pastry flour, rye flour, granulated sugar, baking soda, baking powder, salt, and hemp seeds (if using). Set aside. 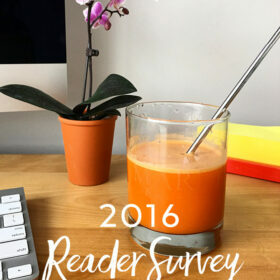 In a large measuring cup, whisk together the buttermilk, 1 egg yolk, and melted butter – setting both egg whites in a separate large mixing bowl. Gently stir the buttermilk mixture into the dry ingredients until the dry ingredients are just absorbed. Set aside. 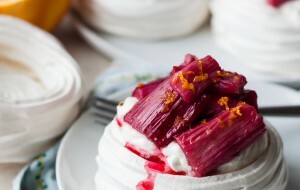 Using a large whisk or hand-held mixer, whisk the egg whites until they are fluffy and reach soft peaks. Gently fold the egg whites, in two separate additions, into the pancake batter. Fold in the fresh blueberries. Heat a tab of butter in large non-stick skillet over medium heat. Once the butter begins to sizzle, add batter to pan (you can always a test coin-sized pancake to check whether the pan is ready). Once bubbles begin to form on the top of the pancake, flip carefully and continue to cook on other side until golden brown–this step is easier if you keep pancakes no larger than 5 inches in diameter. Adjust heat if necessary. Meanwhile, combine the maple syrup and molasses in a heatproof pitcher. Stir together well and heat in the microwave for 20 to 30 seconds until hot. 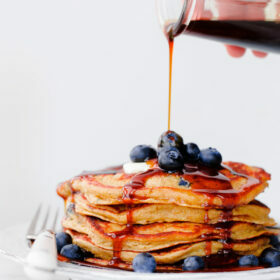 Serve the pancakes with warm molasses syrup and garnish with fresh blueberries as desired. Rye flour generally comes in two forms (light and dark). I found mine in the bulk bin of my favorite grocery store! If you cannot find rye flour – or do not wish to use it – you can substitute the rye flour with 1/2 cup of additional whole wheat pastry flour. Mmm I’ve never thought to combine maple syrup and molasses, but I loveee the idea. These pancakes look gorgeous! I hadn’t either! 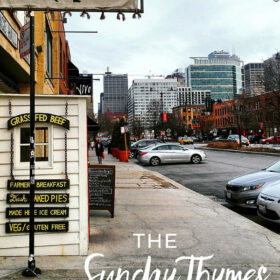 But it totally made sense when I tried it at that brunch spot. I need to make these for Arthur, he would love them! Plus, there is molasses in iron. So health food?! You mean iron in molasses. Ha! Yes! Forgot to mention that part!!!! I need to find myself some rye flour!! I’ve had it on my grocery list since December for homemade rye bread but can’t flipping find it anywhere! Once I do, these pancakes are also happening. They look great! Homemade rye bread is next on my list! I know Bob’s Red Mill (and Arrowhead Mills – but I don’t like their flours as much) carries it! Wish I could send some your way. 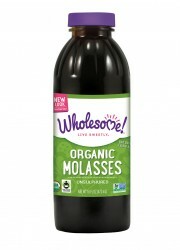 I never thought of using a molasses syrup before but I love it! After trying it on these pancakes I’m definitely going to use it on the pumpkin and gingerbread pancakes I make! Oh my gosh! That’s such a brilliant idea. I’m totally doing that next fall/winter. Pumpkin would be fantastic! Plus, you can even add more molasses than I put in the recipe – it’s totally adjustable to taste. Only YOU can make pancakes look this pretty & mouthwateringly delicious. YUM!!! You’re so sweet to say that! Thank you Lucia! That molasses syrup looks soooooo GOOD. I wouldn’t mind just licking that off the plate. 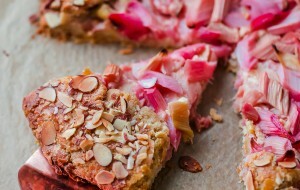 And I like how you used rye flour in this, I love me some 100% whole grains! It was my first time baking/cooking with rye flour and I’m definitely going to do it more often! I’m so thrilled that my local store carries it in bulk. these pancakes look delicious and incredibly hearty – in a good way! what awesome flavor combinations. They’re actually surprisingly light (in texture) – but definitely more filling! Thank you! I have been wanting to bake with rye flour for awhile now, but never thought about putting it in pancakes! These guys are perfectly fluffy and golden brown. You’re breakfast game is on point with this recipe. Pinned! Yum! I want to make these too! Very healthy! Lovely photos! The molasses syrup sounds so good. I’ve actually never tried infusing my maple syrup with other flavors before, but this has to be the first one I try! And I love the healthy kick these pancakes have! 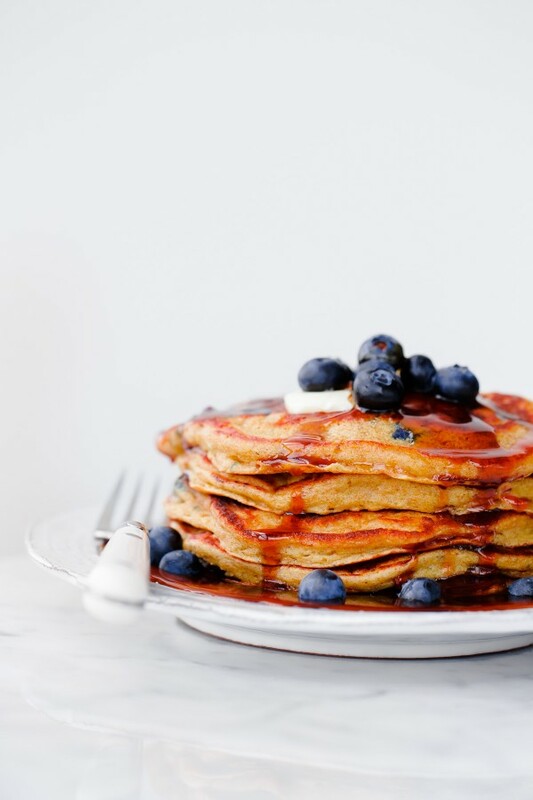 Fluffy pancakes are ALLLLL I’m craving these days…and even better that these are whole grain! Exactly what I need in life. My Sunday ritual is making pancakes for breakfast. Yours look very delicious, so I’m going to try them for sure! Thanks for the recipe!